“Growing up, my parents never abandoned an opportunity to teach me about different cultures and ideologies,” says TED-Ed Innovative Educator Alicia C. Lane. “But it was my exploration-focused hometown of Huntsville, Alabama — also known as ‘Rocket City’ — that launched my interest in science and engineering.” Alicia’s passion for STEM led her to earn degrees in chemistry and in civil/environmental engineering, and to become a leader within several nonprofits, including the National Society of Black Engineers and the National Alumnae Association of Spelman College. While working as a civil engineer in Detroit, Alicia was also awarded a Woodrow Wilson Teaching Fellowship, and earned a Master of Arts in education from the University of Michigan. Subsequently, she managed the STEM-themed career and technical education programs within DC Public Schools, where she launched the first biomedical science, computer science, and engineering career programs east of the river at Anacostia and HD Woodson High Schools. Today, Alicia is a program director for Techbridge Girls, which aims to increase access to STEM careers. In her free time, Alicia travels as much as she can and works on her TED-Ed Innovation Project, codenamed DollarStoreSTEM. Learn more about her project below. Classroom science and technology experiments can be expensive. Yet there are many ways to teach STEM for less than 30 cents per student. As an engineer-turned-educator, Alicia created an online resource with 20+ lesson plans that make it easy and affordable to teach fundamental concepts in science, technology, engineering, and math — using everyday objects. DO submit your favorite lesson to DollarStoreSTEM. If selected, you will receive a free #DollarStoreSTEM classroom kit, which includes enough supplies to serve approximately 20-25 students. DO use or retro-fit what you already have (lessons, supplies, etc.) and what is already published on ed.ted.com. Many of my lessons are “borrowed” and re-packaged to make planning and execution easier. DON’T let suggested grade levels be a barrier. DO what teachers do best, and translate it to meet the needs and grade levels of your students. DO email DollarStoreSTEM@gmail.com for help! This article is part of the TED-Ed Innovation Project series, which highlights 25+ TED-Ed Innovation Projects designed by educators, for educators, with the support and guidance of the TED-Ed Innovative Educator program. You are welcome to share, duplicate and modify projects under this Creative Commons license to meet the needs of students and teachers. Art credit: TED-Ed. 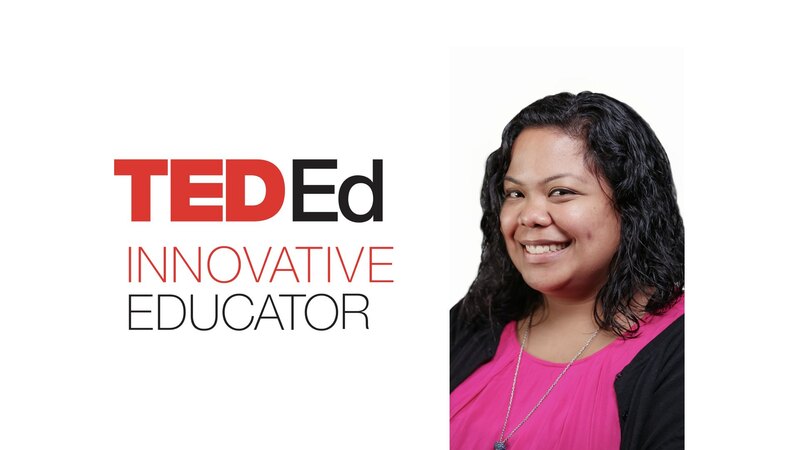 Alicia Lane, a Techbridge Girls director in Washington, D.C., is a participant in the TED-Ed Innovative Educator program. If you checked out DollarStoreSTEM.com, let Alicia know!